As the year draws to a close, we’d like to take the opportunity to focus on some key recent developments. 2013 has been a year of partnerships: From our very productive continuing collaboration with Prof. Jessica Houston at New Mexico State University, to our expanded relationship with great engineering firms like DarklingX, to the forming of a brand-new three-way partnership in developing design automation tools, Kinetic River’s partner network is stronger than ever. Have you ever wished to wave a magic wand and have a 3D model of your system instantly generated? In September we announced our partnership with Design Parametrics, Inc. and Plan Energy Ltd., and the launch of BeamWise™, a design automation tool that reduces costly prototype iterations and dramatically cuts down the time to market. BioOptics World magazine also took an interest. Take a look at this short video to see how intuitive and efficient system design can be. 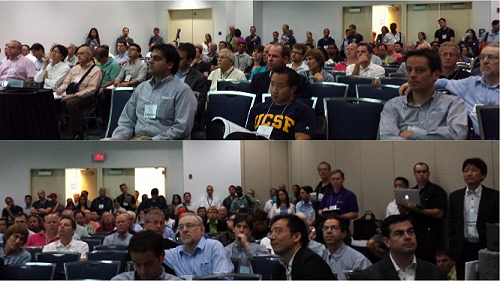 On September 24, 2013, Dr. Vacca was invited to give a seminar at the Bio2Device Group (B2DG) meeting in Sunnyvale, California. In the talk, titled “New Tools for Cancer Research: Probing Cellular Processes at High Throughput,” he described our flagship product, the Danube. Built in collaboration with Prof. Houston, the Danube generates the world’s fastest flow-based light-cell interactions, measuring fluorescence lifetimes on single cells at high rates. Kinetic River is a continuing sponsor of the Cytometry Development Workshop. Held this past October in gorgeous Asilomar, California, this popular annual gathering of cytometrists featured three talks by Dr. Vacca: one describing our latest Danube fluorescence lifetime results; another showing new approaches for the hot topic of microvesicle detection, fruit of a collaboration with the NIH’s National Cancer Institute; and a BeamWise tutorial on automated system design. Dr. Vacca was asked to speak at the Physics Department Colloquia series at Santa Clara University, in Santa Clara, California, on November 4, 2013. In his talk, “Phys-Engi-Preneur: The Neverending Metamorphosis,” he described from a personal perspective the path from academia into industry and entrepreneurship. From embracing discomfort to leveraging professional skills in new ways, the seminar offered lessons learned in navigating major career transitions. From this Monday 12/16 to Wednesday 12/18, Dr. Vacca will be in New Orleans attending the American Society for Cell Biology Annual Meeting, thanks to an NSF-supported travel award received by Prof. Houston. If you’re going to be there, too, drop him a line to plan a meet-up. At Photonics West 2014 (San Francisco, February 1-6, 2014), there will be several opportunities to learn more about BeamWise, the Danube, and our other products and services.  Kinetic River will be exhibiting at booth #8639 in the Moscone Center South Hall at the BiOS Expo (Feb. 1-2, 2014). 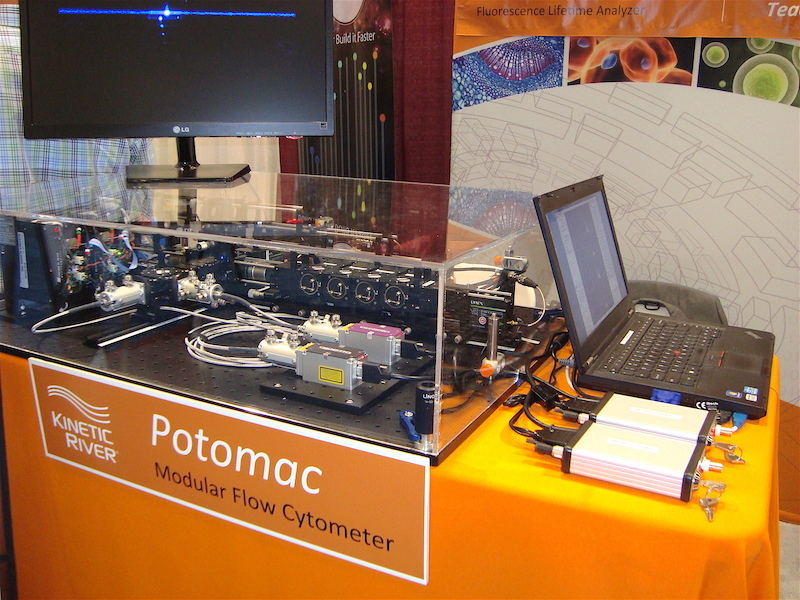 We will offer a demo, “BeamWise – Automating the Design of Biophotonic Systems,” in the BiOS Demo Area on Saturday, Feb. 1 at 12:30 pm. And at 1:30 pm on Sunday, Feb. 2, Dr. Vacca will deliver an invited talk titled “Automated design tools for biophotonic systems“. All of this is possible thanks to the ongoing support of our clients, and the dedication and commitment of our partners. We wish you a festive Holiday Season and a Happy New Year, and hope to see you at one of our upcoming events.